"An amazing and welcoming opportunity to talk to movers and shakers in the Canadian Food Movement. Great work Halifax, including Food ARC at Mount Saint Vincent University, The NS Food Security Network, the Atlantic Canadian Organic Regional Network and Food Secure Canada! Now we must work together toward a National Food Strategy that is true to the recommendations of the People's Food Policy Project. We are getting closer. The 2016 Assembly will be even more informative and energizing!" In November 2016, we will hold our 9th National Assembly and we are looking for a host organization and community to help make it happen. 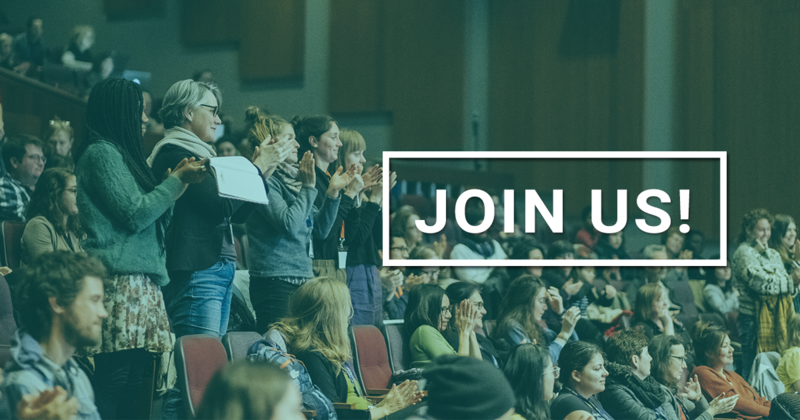 Since 2001, FSC has hosted biennial assemblies bringing people right across the food system to learn together, strengthen our networks, and build our analysis and actions to advance our goals. These vibrant 3-day events include fantastic food, movement leaders, dozens of sessions and tours that highlight local producers, businesses and organizations. You can read about our past assemblies on our website, and our most recent assembly in Halifax which attracted almost 500 people. arranging food procurement to support local, sustainable food producers. fundraising and sponsorship from regional and local sources in collaboration with FSC. The above roles are supported by paid logistic coordination, to be hired jointly by FSC and the host organization. FSC assumes full financial responsibility for the event. Name(s) of organization(s) that wish to host, the mission and the capacity of the organization(s) to take on this work and who else you would involve. 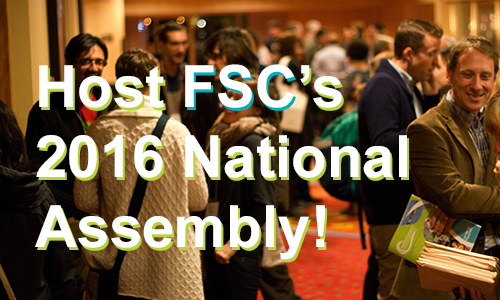 Why is your community the place for the next FSC assembly? It could any number of things – the location, the issues being faced locally that need national attention, a fantastic venue, an amazing sponsor, etc. An outline of possible venues in your community that could accommodate 4-500 people including beds (hotels) for at least 250 people. An estimate of their cost would be helpful (ex. : in 2012 the host organization partnered with a University that provided space for free; in 2014, the Assembly was in a hotel but special arrangements were made on food, bringing down costs and supporting local producers). An outline of the local / regional organizations that may be willing to support the assembly in kind (i.e. : location, staff time, etc.) or financially. Check out the report on our last assembly on our website. More details available upon request. You are welcome to call to discuss: 514 271-7352.